The Wii U version of the game will still possess local four player co-op as well as Wii U exclusive features such as using the Gamepad as a map, Off-TV-Play and eventual Amiibo support! We'll let you know even more about the game as new details become available! Mobot Studios has just released their official Wii U release trailer for The Deer God meaning that the game shouldn't be too far away from releasing on the eShop! Be sure to checkout the trailer above! 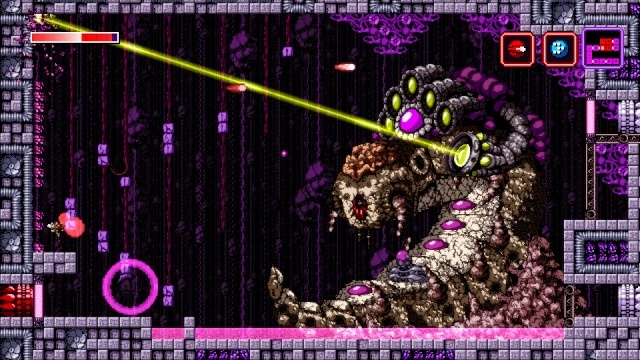 Game Overview wrote: Axiom Verge is a retro-style action-platform-exploration game done in a 16-bit style and was heavily influenced by games like Metroid, Contra, Blaster Master, and other classics, but with very modern design sensibilities. 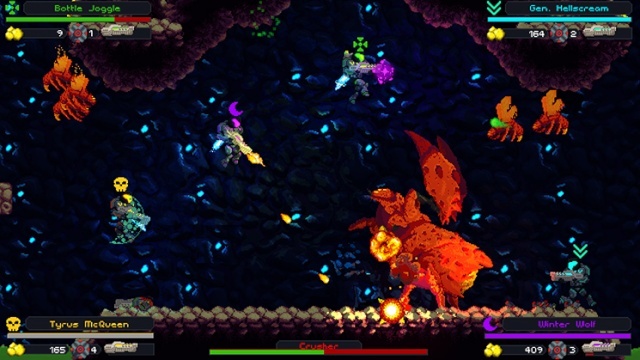 It also gives you power over glitches like those found in classic games, allowing you to scramble enemies, corrupt environments, and enter hidden areas as you explore this hostile alien world and uncover your role within it. The game will feature over eighty enemies, forty weapons, nearly a hundred upgrades, and over one thousand rooms! We'll let you know more about this title at a later date! Crystalline Green and Drop Dead Interactive have teamed up to bring the rage-inducing arcade-style indie title Gear Gauntlet to Wii U! The game is a maze-like arcade game where players must avoid obstacles and other hazards and did we mention just how rage-inducing the game can be? It looks like the game will be hitting the Wii U eShop later this year! Renegade Kid's Jools Watsham released a rather brilliant commercial for his upcoming Wii U and 3DS eShop title Mutant Mudds: Super Challenge! The game releases this Thursday in North America and PAL regions! Be sure to checkout the commercial above! Mixed Bag Games has announced that their upcoming Starfox inspired Wii U eShop pseudo 3D on-the-rails shooter Futuridium is being sent to Nintendo's QA as early as next week and might be released as soon as April of this year! The New 3DS version of the game will take awhile longer due to some bugs that need to be ironed out! Be sure to checkout the trailer of the game above! And that's a wrap! Be sure to come back on friday for our main WiiWareWave Weekly Edition for additional Indie news stories as well as major Nintendo news stories for the week! As always be sure to leave us your thoughts in our comment section below! Very informative as always, @Ichigofan. I enjoyed the quirky commercial from Jools Watsham. Futuridium looks like a very promising game to keep your eyes open for; I bet it will be another eShop game that even @KingreX32 could actually enjoy.